The high energy follow-up to Come Alive, we review Bethel Music's latest album, Bright Ones. I’ve had to check myself recently. For the past week I’ve been asking friends “Have you heard the new Bethel Music Kids album?”, all the while not realising that’s no longer their name. Bethel Music Kids are kids no longer. But maybe being wrong this whole time has been a good thing. The label I would attach to “Kids worship music” pigeonholed more than it did describe. That is exactly what Bright Ones fights against. People saying what kids should be, should like, and how they should worship. Following on from the colourful Come Alive, Bright Ones is an album with much more creativity and character. In terms of production value alone, Bright Ones is leaps ahead of Come Alive. The album frequently channels the increasingly faith-influenced Justin Bieber, as well as the sampling and break-beat driven sounds of Hillsong Young & Free (but without everyone clearly hitting their early 30s). It steps from gospel to deep-house to pop with panache. Mixing original songs with inventive covers (Let My Life and No Longer Slaves being standout worship reworkings), Bright Ones never runs out of steam. Even in its slower moments, it refuses to simply fall into what a worship song should sound like. Ok. I have avoided mentioning this for as long as possible, but it really is unavoidable at this point. Bright Ones is a soundtrack. Not simply a standalone album of songs influenced by pop and house music, it is the album of a movie of the same name. Knowing that does change how you listen to that album. Especially the opening/title track which kicks off with a theatrical prologue by way of turning on the lights and acknowledging the audience. The film is a story of ‘of five students each on their own journey of embracing identity and taking new risks’. As with any soundtrack, you could probably piece together the narrative between the music, but that isn’t to say that Bright Ones, as an album, doesn’t stand on its own two feet. Bright Ones celebrates the freedom and creativity that comes from God. The ability to turn the things of the world into praise for God. Bright Ones proved that an album of worship doesn’t need to sound like a worship album. Rather, that the most honest worship is when we sound most like ourselves. Bright Ones doesn’t give the impression of a grown-up’s faith repackaged for kids, but rather tells of the experiences that are unique to a young faith. Yes, being 29-going-on-30 does nudge me out of Bright Ones’ target audience, but I loved it nonetheless. Songs like ‘You’re Gonna Be Ok’ and ‘Spirit Move’ are surprising, catchy, and huge fun. And ‘No Longer Slaves’ manages to tow the precarious line of being both stylish and deep: fall off one side and you’re called empty, of the other and you’re doomed to obscurity. And if a song as inventive as ‘Let My Life’ is released this year, I’ll be stunned. 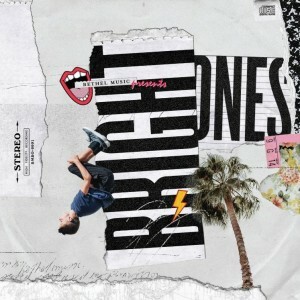 Bright Ones isn’t just the soundtrack to a movie; it’s the soundtrack to faith in 2018, and to the possibilities that lay before anyone willing to embrace what God has in store. Bright Ones is dues for release on the 27th April 2018. You can pre-order your copy here.